Ruffles are so popular right now, they are easy to make and look very girly and cute on cakes. This is a small 2 tier cake, the top is 6 inches and the bottom 8 inches. 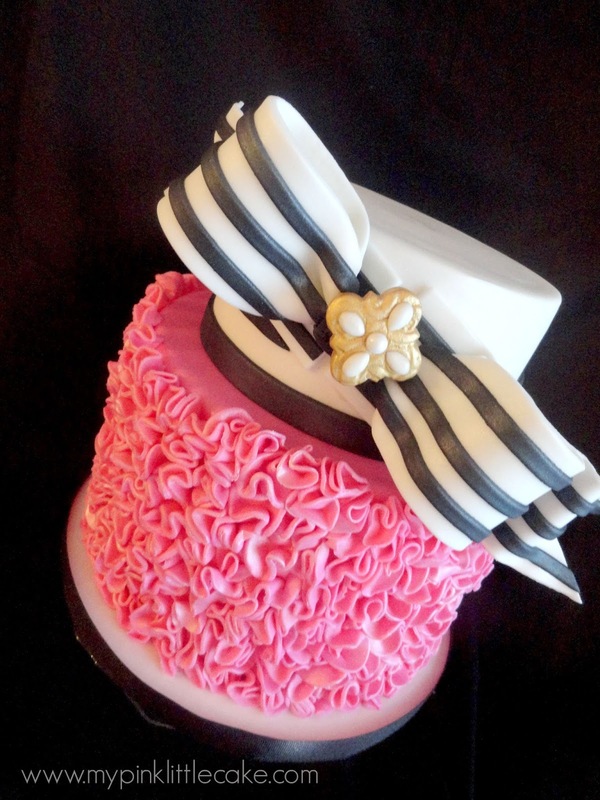 The perfect ruffle celebration cake for a birthday girl.